Tonight’s local hockey contest is a mash-up between the Minnesota Wild and the Chicago Blackhawks. I do wonder if these two guys will still be friends after the game. 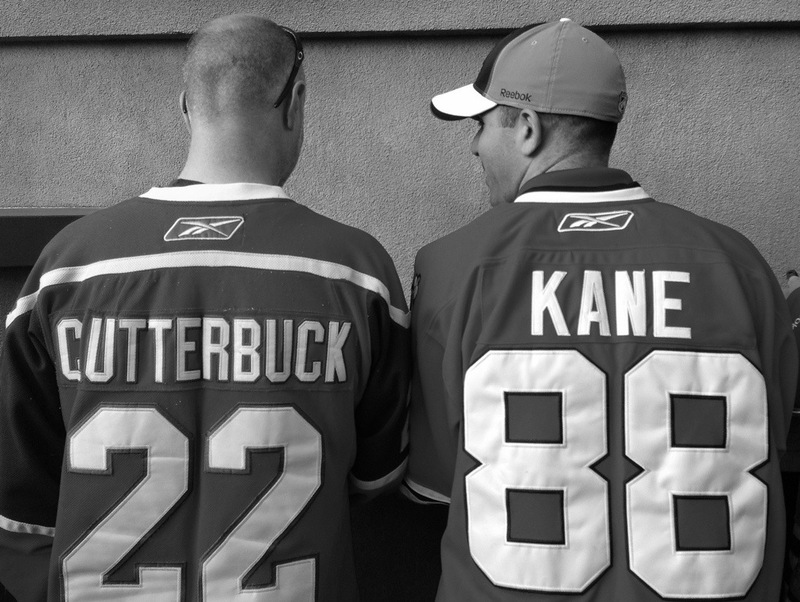 This NHL Stanley Cup playoff game is day 127 of Photo 365. This entry was posted in Photography and tagged Minnesota Wild, NHL, Photo 365, Saint Paul. Bookmark the permalink.